A few weeks ago I saved a URL with a whole bunch of red carpet dresses from the Emmy Awards. 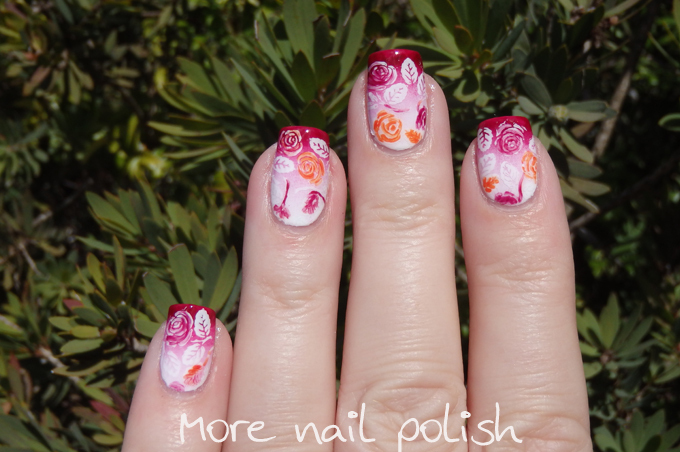 when it was time to do my nails for this prompt, I scoured through that long list of photos ready to be inspired by something. Sadly I wasn't inspired by any of them. Most of the dresses were just a single colour, which didn't leave me with much to work with. 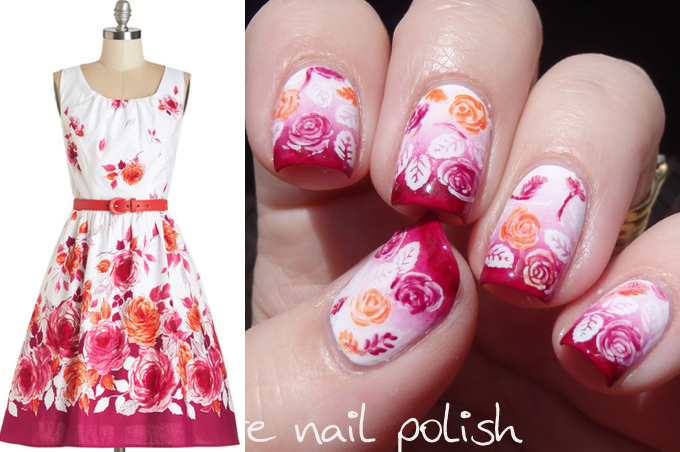 Enter my saved photos of Modcloth dresses that I had on my ipad as nail inspiration. This one again caught my eye - Modcloth's Spellbinding Ability Dress. 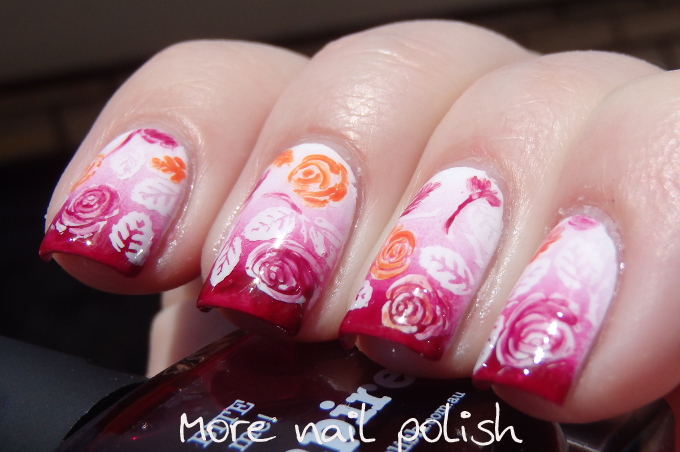 I started with a gradient that went from white to dark pink, I used Picture Polish Bright White, Flirt and Vampire. 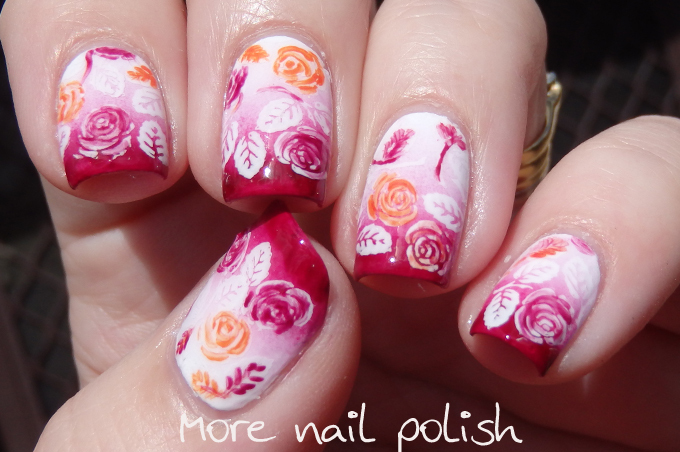 I then stamped some white roses and leaves over the top using an image from DRK-A plate. 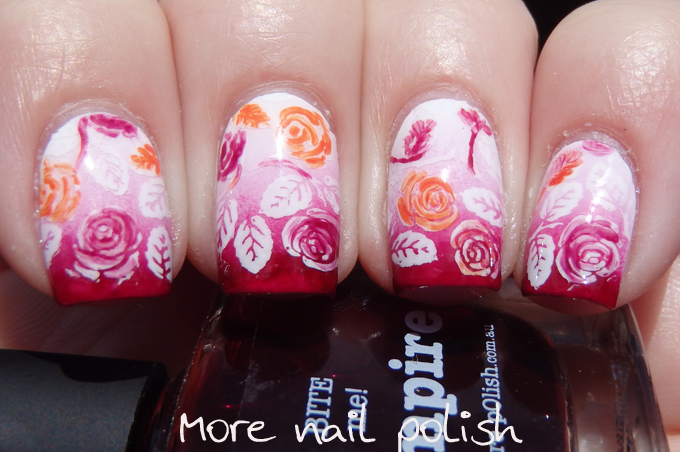 Next I painted over some of the white using pink and orange polish, but still leaving enough of the white showing through to see the rose patterns. I'm really happy with how well it matched the dress. 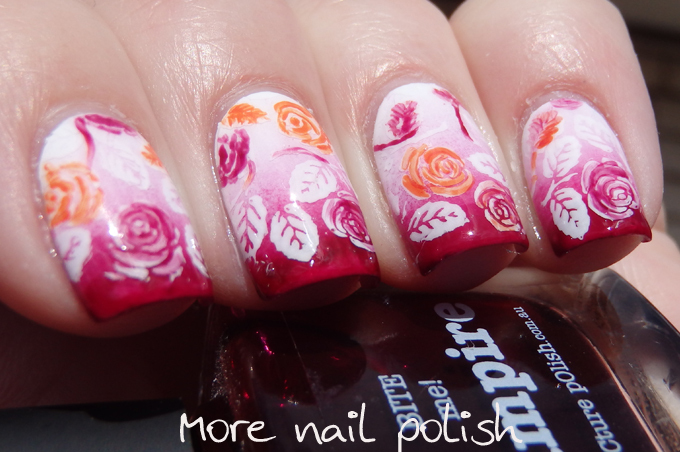 My Inspired by fashion nails from 2013! It matches the dress amazingly! Love this! It matches the dress so perfectly. Well done! Your interpretation is beautiful, it matches the dress perfectly!